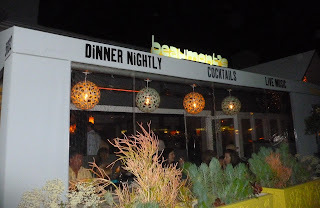 Beaumont’s Restaurant is a favorite for locals in the Bird Rock community of La Jolla. Offering fine foods, live music, and cocktails visitors have become accustomed to spending more than a few hours in the establishment. Whether you are looking for juicy lamb meatballs or something more homegrown like a burger you can find it at Beaumont’s. Drinks, dinner, and dancing are common activities in this well maintained business. The restaurant is casual by nature and offers a large selection of different foods. Breakfast prices range from $7 to $11 with specialties such as Beamont’s Benedict and Short Rib Hash & Fried Eggs. Lunch is also prices in the $7 to $11 range and includes selections such as Tri-Colored Kale and the Duckwich. Standard items such as soups and salads are also on the menu. Dinner is a different sort of game at Beamont’s with prices that range from $10 to $25. Specialty items include Pan Roasted Sea Bass and Linguini with Clams. I ordered the later which doesn’t fit with my diet but it was worth the try. 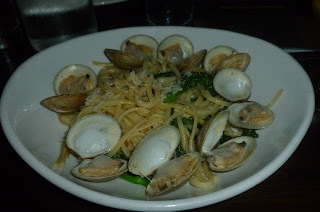 It is a linguini made with rapini, white wine, chili flakes, lemon, and grana padano. Around the edges of the plate are the famous California fried clams. For the price of $16 it was just enough to fill the stomach without creating that uncomfortable feeling. Their wine list is fairly extensive offering prices around $8 per glass and $40 per bottle. Mixed drinks such as Diablo Michi Lada and Pomegranate Margarita are priced around $10. They also offer a selection of coffees and teas for around $5.00. If you haven’t tried a Dirty Chai Latte or a Hammerhead Espresso you might want to be bold. Beamont’s offers patio, in-door, and bar seating. 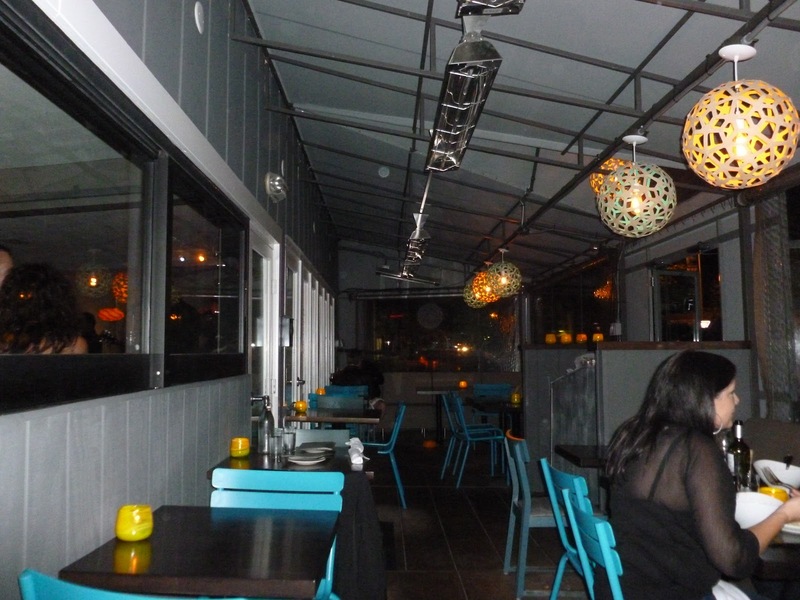 As a restaurant there are plenty of table seats for groups or booths for individuals around the dance floor. 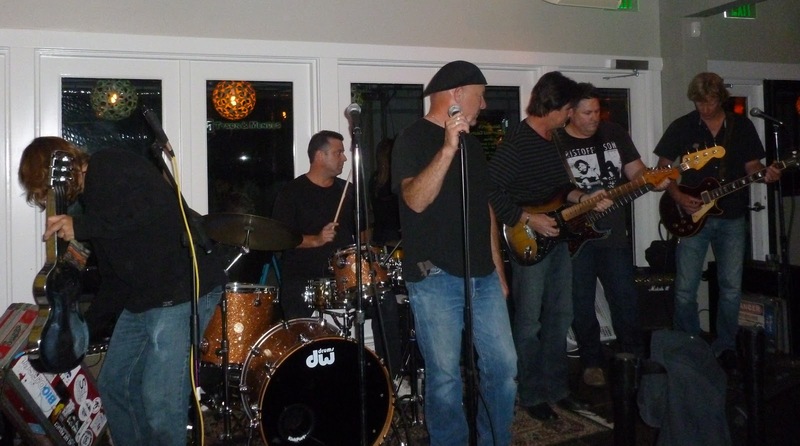 On weekends live bands roar to life playing everything from the oldies to modern rock. The dance floor offers plenty of room for everyone. General ages are 45 and over with a few younger people dotting the landscape. If you are single and in this age range it may be a nice place to visit. The establishment seems to have a strong customer base that continues to come back over and over. There is no cover charge from what can be seen and the dining atmosphere is strong. 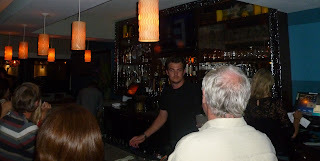 The live music helps bring in customers who desire to sit and have cocktails. Around midnight, the time I left, the bar was still busy and lively. The age group offers an advantage in terms of their ability to purchase restaurant offerings without standing around with a single drink for over two hours that you may notice at some of the younger locations. Hence, no need for a cover charge. The reasonably priced menu offers the an interesting selection with a few exotic items for those who want something else. They seem to take considerable care in the presentation and quality of the food. Staff members were friendly and helpful.